When premenstrual syndrome strikes, you may think the best solution would be to curl up on the sofa with your cat for cuddles. However, according to a recent scientific study, domestic felines could be the reason behind your PMS. Half of all women are said to be affected monthly by the condition, with symptoms ranging from stomach pain and headaches to nausea. The most severe form, known as Premenstrual dysphoric disorder (PMDD), has psychological, rather than physical symptoms, including severe anxiety and depression. 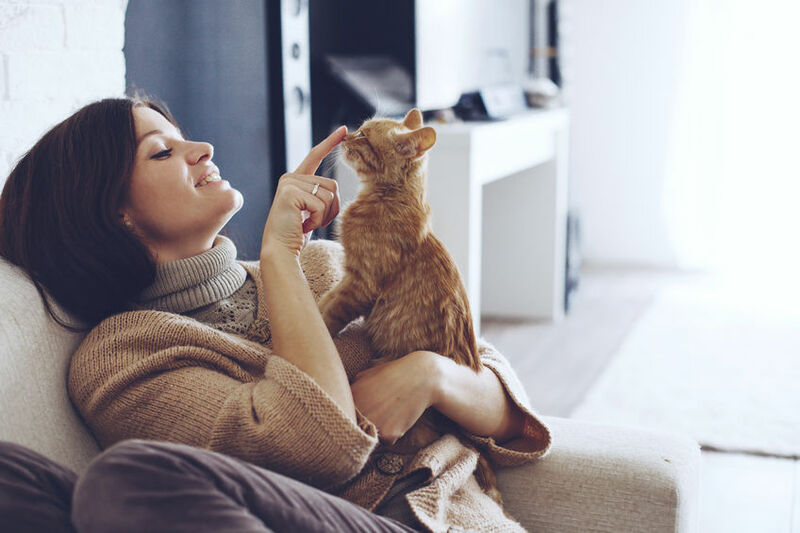 A recent study has suggested that the cause of PMDD may potentially be a parasite known as toxoplasma gondii, which is passed on by cats. Found in cat excrement and infected meat, toxoplasma gondii causes toxoplasmosis in humans - an infection that usually has no symptoms, but has long been acknowledged as dangerous for pregnant women, who are then more at risk of miscarriages, or could pass the disease on to their children. Recent studies have suggested that the parasite, which can become lodged in the brain, could have an impact on human behaviour, potentially causing mental illness such as schizophrenia. This is because the infection is known to affect neurotransmitters such as dopamine and serotonin, leading to changes in behaviour and mood. Now, a study from the Juarez University of Durango State, Mexico argues that it may also be a cause of PMDD. The study showed that women who had the virus also suffered from the same symptoms associated with PMDD, in particular the sense of feeling overwhelmed or out of control. However, the researchers insist that the results must be treated with care, as only a small proportion of the women sampled were actually infected by the parasite. While more research in the field is required, maintaining good hygiene around your cat is essential, particularly if you are pregnant. To avoid exposure to the parasite, the NHS adviseswearing gloves when gardening (to avoid contact with infected soil) and to clean cat litter trays regularly.